US and Chinese destroyer were almost collided when they were patrolling in South China Sea, on Monday (2/10). 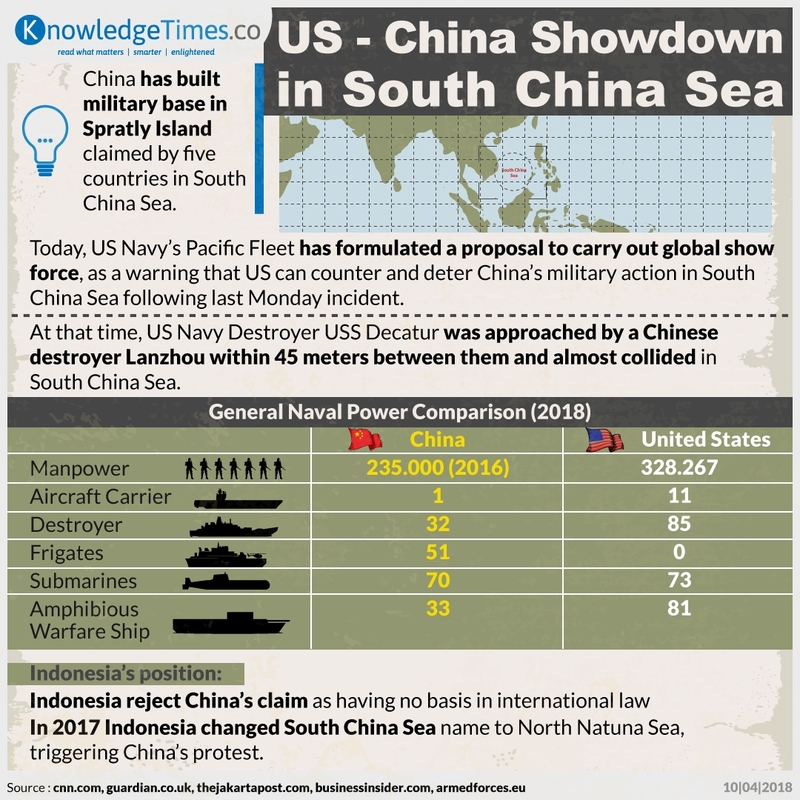 This situation is getting tense and could provoke power showdown between two giants in South China Sea. What should Indonesia do to slowdown political tension in South China Sea?